Alice M. Oakes, 101, formerly of East Main Street, passed away peacefully, in the presence of her loving family, late Wednesday evening (April 14, 2010) at St. James Mercy Hospital in Hornell. Born in Sparta on June 30, 1908, she was one of six daughters born to Nathan and Bertha Kiehle Moose. On July 1, 1944 she was married in Dansville to Lewis Oakes, who predeceased her in 1965 after 21 years of marriage. Besides her parents and husband, she was also predeceased by her three sisters, Mary Mahus, Shirley Fantaci and Ethel Moose; also her son-in-law, Lawrence Wassink, Jr.
A former resident of Sparta and Dansville, Alice had resided in Hornell for most of her life. She graduated from high school in Dansville and received her teacher's certification from Geneseo Normal School. She taught for one year in the same one room schoolhouse she attended as a child before she began teaching fourth grade for the Dansville School District. She later retired from Arkport Central School where she was a kindergarten teacher. While raising her family she was also a substitute teacher for the City of Hornell School District. Alice was a member of the former First Church of Christ, Scientist in Hornell where she served as a first and second reader. Her other memberships included, the D.A.R., where she served as treasurer and past president, the Hornell Fortnightly Club, the Book Club, the Dansville Grange, where she was a member for more than 80 years and was also instrumental in forming the Junior Grange in Hornell, the Hornell Home Bureau and was a former leader for the Hornell Campfire Girls. Some of her favorite past times included traveling extensively throughout the world and making scrapbooks about her trips, doing genealogy for the Moose, Kiehle and Oakes families, attending many of the annual Moose family reunions, photography, growing various types of plants, knitting, sewing, crocheting, needlework, quilting, painting, as well as making and contributing clothing items to several charities. 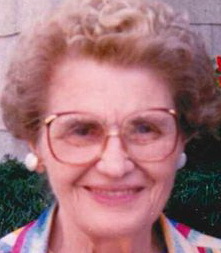 Her family includes her three children, Beatrice (Thomas, Jr.) Gorse of North Arlington, N.J., Daneen Wassink of North Hornell and Nathan (Patricia) Oakes of Hornell; her five grandchildren, Jennifer (Tyrone) Ross of Philadelphia, Pa., Ryan Wassink of Corning, Bronlyn (J. Bradley Saia) Wassink of Utica, Laura Wassink of Colonial Heights, Va. and Danelle Wassink of North Hornell; her two sisters, Docia Fish of Willits, Calif. and Elsie Williamson of Dansville; also her nieces and nephews and her loving and devoted caregiver, Barbara Welch of Arkport. Calling hours are from 1-3 p.m. Saturday at the Davidson Memorial Chapel of the United Presbyterian Church in Hornell, where a funeral and committal service will take place following calling hours at 3 p.m. Saturday, with the Rev. David Kilgore officiating. Interment will be in Rural Cemetery, Hornell. Grad. Dansville High School; Geneseo Normal. Taught rural School; Dansville 4th grade; Kindergarten in Arkport, retiring after 20 years in 1967. Began researching family history using as nuclei the records of Mary and her mother. Always listed her hobbies as 'travel and photography'. Active in clubs and church work. Christian Scientist. About 1974 added to her hobbies oil painting which she does with a friend on her closed in porch. Has taken some first prizes in the State Grange Art contests. Has too large a collection of African Violets she's always starting from leaves. And then giving them away. Same as her husband she grew up in the country until she was 14. It was fun driving the horses when in the field loading oats to haul into the barn for threshing later on. When it was haying time she was trusted with driving the horse on the hayfork. And in the cow barn she milked a cow. It wasn't so much fun, though, cutting the green corn and dragging it to the fence to lift over for the cows to eat. Nor did the spring job of knocking off potato bugs into kerosene in a pail have any enticements! She started collecting stamp when quite young 'because they were so pretty' and learned later it was a popular hobby. She felt rather disappointed that she wasn't the first to discover them! She spent many hours writing to pen pals starting in early high school. Many were in Australia where she always wanted to go. She became a real nut about traveling . Her first tri w1as at 18 when she went with her parents and grandparents (Kiehle~ to New Jersey to her Uncle John's. She knew then that traveling was for her!!! About 1935 she and Marietta Moose went on a camping trip to Atlantic City (N.J.) and Washington, (D.C.). One stormy night they slept in a grandstand in a little town (for company!! ), another time under the stars in an orchard, again their tent was pitched by an oil well. One night a garageman sent them to camp on his lawn even tho his wife was entertaining her card club! (she agreed to it.) In Washington they actually found a campground and camped there for a week. Has lived on E. Main St. in Hornell for nearly 40 years.